Goku's Street Address is 439 East District. 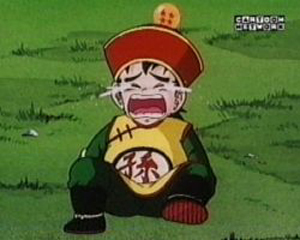 There was so much editing in the first season that Gohan's tears were edited out of the first episode. 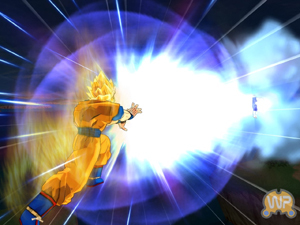 Goku says that with his Shunken Idou, he goes as fast as the speed of light. When Buruma and Mr. Popo took a test ride in the ship to Namek, they went to Jupiter, which means Namek is much further away than Jupiter. The distance from Earth to Jupiter is millions of miles, so the distance to Namek must be billions or even trillions of miles from Earth. 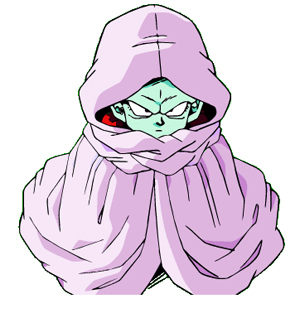 Because distance divided by speed is time, one billion divided by 186,000 means it should have taken Gokou about an hour and a half or more to get to Namek, and he makes it in a few seconds. 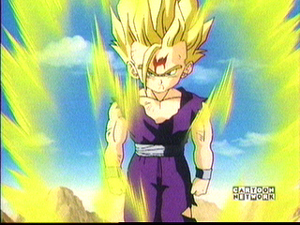 Gohan was almost always the strongest fighter; he just couldn't realize his power. After the Cell Saga, Toriyama was debating on whether or not to make Gohan the main character of DBZ. Fan response made him stick with Goku. 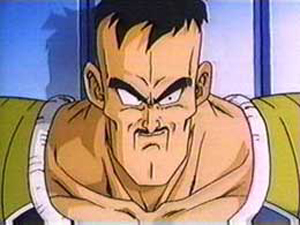 Nappa did actually have hair at one time. Just watch "Bardock: The Father of Goku". 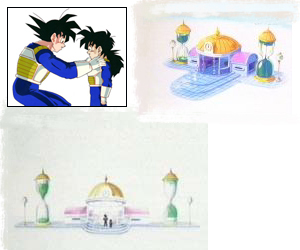 The Garlic Jr. Saga couldn't of happened because DBZ Movie 1 couldn't fit into the DBZ timeline. In the first episode, Kuririn first meets Gohan. 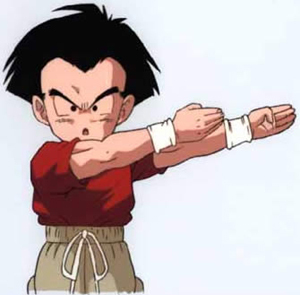 In the movie, Kuririn had seen Gohan. If he had already seen the little kid, why was he so surprised? Krillin has hair; he just shaves it because he is a monk. That way, when he fights nobody can grab his hair. The temperature in the Room of Spirit and Time can range from -40 degrees and 50 degrees Celsius. Krillin's Number is 93 in the 21st Tenkaichi Budokai, while Goku's was 70. Kamehameha was the King of Hawaii from the late 1700's to the early 1800's. Ryo Horikawa, the Japanese voice of Vegeta, did the voice of Captain Falcon in Super Smash Brothers. Some people say that Dragon Ball is a bad influence, but here's proof that it isn't. 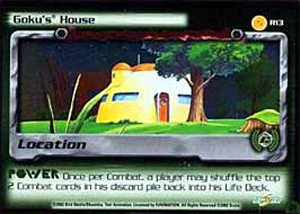 When Gokou's on his way to Namek, he reaches into the fridge, pulls out a can of beer, and says, "What is this doing in here? 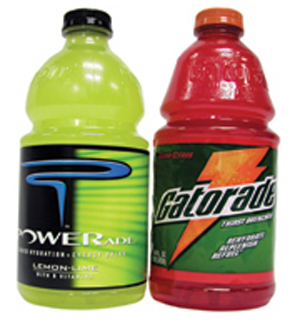 I'd rather have a Sports Drink, cause it's good for me and tastes great too."